The Solar-Terrestrial Centre of Excellence, STCE is a scientific institute focussing on the Sun, through space, up to the Earth and it's atmosphere. The solid base of the STCE is the existing experience in fundamental solar and earth atmospheric physics research, the involvement in earth-based and space missions, a broad variety of space weather linked services and a fully operational eligible space weather application centre. The scientists act at different levels within the frame of internal, national and international collaborations of scientific and commercial oriented partners. 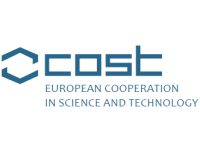 The STCE benefits also from the platform of interaction offered through the ESA (SWWT, SWENET), EU (COST, FP7) and others (ISES, …).